I am Mogadishu! And so are you…. Over 300 people were killed and hundreds more were injured by a truck bomb terror attack in Mogadishu on Saturday, October 14. It was one of the worst terror events in recent times, yet there was little mention of it in the western press. Are the western so-called developed nations and their populations trying to tell us something? Not only is there little coverage or sympathy shown for African loss of life by those who deem what is newsworthy, nor is there demonstrated sympathy by the populations. When terrorists attacked France, England and Spain memes “Je suis Charlie,” (I am Charlie) and “I am Manchester,” were posted all over Europe and North America as well. Even many African Americans — descendants of Africans stolen to work in the New World — have been lulled into viewing their African sisters and brothers as second-class. Even they have been brainwashed into agreeing there is a pecking order in humanity that assigns more value to the lives of Europeans and their descendants. Not true? Where are the memes? Where are the words of encouragement? And this terror attack was as tragic as they come. 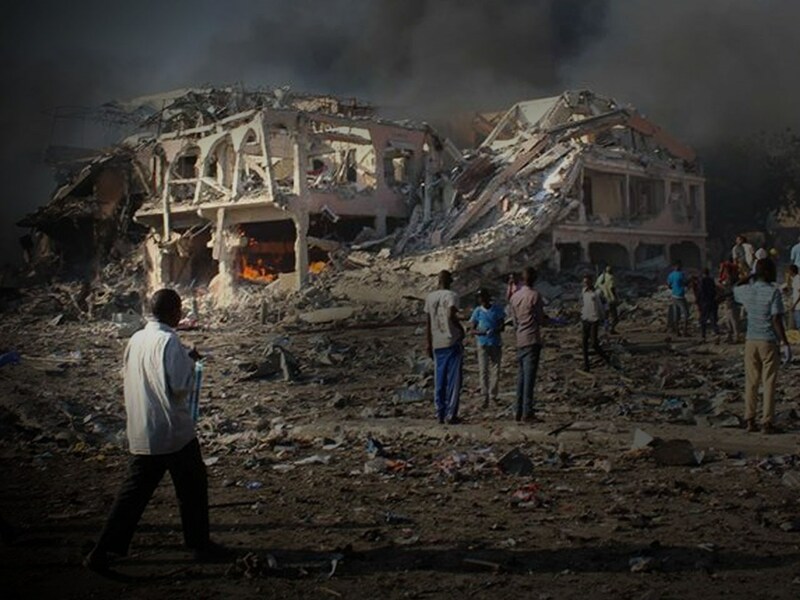 Recently, Somali authorities reported that the blast was so powerful that people were partially incinerated. About 160 people were buried unidentified. Rescuers reported finding bodies of decapitated children. Relatives said, in some cases, they were only able to bury body parts. Someone remarked, “African victims of terror deserve mainstream coverage.” But in the western mind, do they really? Of course, the irony of ignoring African suffering is that much of today’s ills are the residue of colonialism. Europeans arrogantly claim that they were on a mission to civilize as they stole Africa from the Africans. People in the West (who are otherwise intelligent) are convinced that the theft and plunder of Africa for the benefit of Europeans was for the Africans own good. Too many Americans believe that African Americans are better off than their ancestors who were denied their humanity, stolen from their homeland, transported like sardines in a can, beaten, terrorized and forced to work without compensation. Sadly, many Europeans and North Americans believe that Africans ought to be thankful and grateful for the opportunity to live in their respective countries. Very few understand that gratitude is owed the other way around. In the U.S., slaves built the original wealth of this country and most of the hemisphere. In Europe, the colonial conquest of Africa enriched their nations while under-developing the “dark” continent. Western news outlets, especially in the U.S., have already moved on from the tragedy. However, The Atlantic magazine, and apparently author Amanda Sperber, thought this was the proper time to point out the country’s shortcomings, as buildings smoldered and body parts were still being sorted. Rather than covering the tragic terrorist attack as a story in itself, The Atlantic callously and not so subtly blamed the victim. The publication pointed out the failure of the Somali government’s security protocol. The thinly veiled yellow journalism implies that Mogadishu doesn’t deserve our sympathy because of its inefficiency and corruption. In this vein, it is similar to U.S. press coverage of the killings of unarmed Black people by police. Rather than acknowledge how humans died needlessly, the media’s training and their internal drivers tell them that it’s an appropriate time to blame the victim. Similar to The Atlantic article, they also feel obligated to disparage the character of the victim that effectively limits the amount of sympathy or empathy an unwarranted death would usually elicit. Contrast the limited coverage of the Mogadishu bombing with the media coverage of the Las Vegas terrorist act. Media sought to elicit sympathy for the victims and memorialize them with stories acknowledging their humanity and recognizing their contributions. 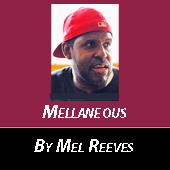 Mel Reeves has a blog fighthepowerjournal.com and welcomes reader responses at mellaneous19@yahoo.com.